Nonetheless, Ron opened his contracting company in June 1987, and, in time, it became Pipeline Contractors Inc. “When we started out, we intended to focus on utilities, but discovered early on that if you don't bid the whole site package, you aren't going to get the job,” recalled Ron. What he lacked in experience, Ron made up for by working tirelessly to ensure that his business survived and eventually prospered. “If there's anything I can teach others, it is that a successful person will do what the unsuccessful person doesn't want to do,” he shared. For Ron, some of those things include tackling paperwork late into the evening at his kitchen table or devoting each Saturday morning to answering email. He said that many new business owners today expect instant success without putting in the long days. “They don't want to crawl before they walk. They want to start off walking and being successful,” said the President/Owner of Pipeline Contractors. 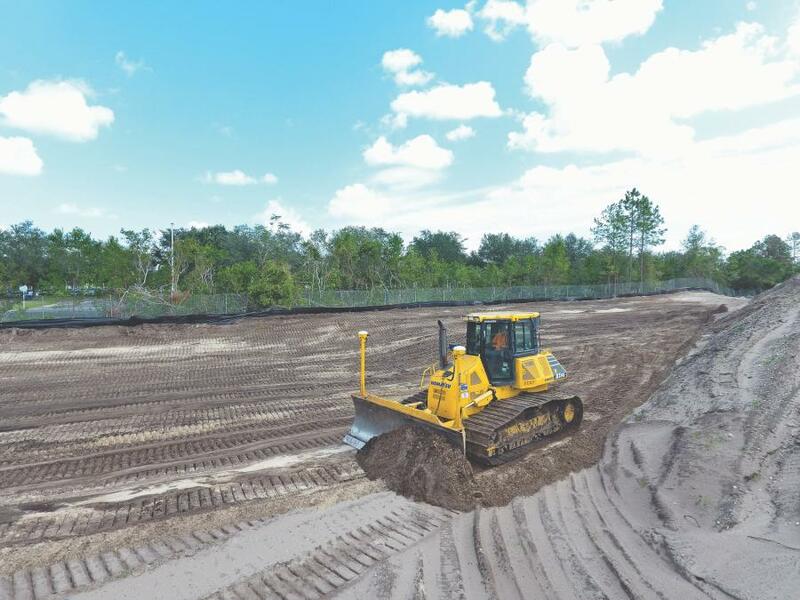 Today, the company is more than walking; it's running on all cylinders as it specializes in civil construction, including basic land clearing; earthwork; installation of water, sewer and storm lines; as well as concrete work. 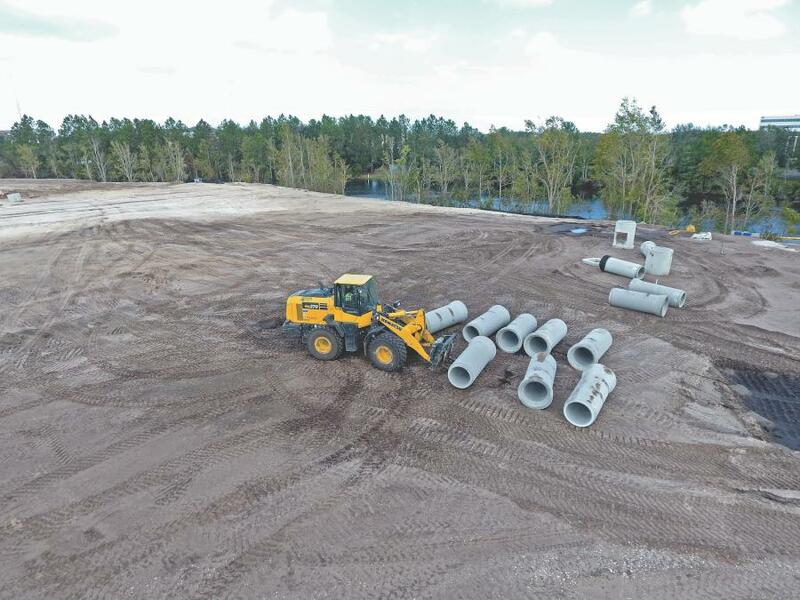 The majority of Pipeline Contractors' projects take place near the organization's headquarters in Starke, Fla., which is located in Bradford County between Gainesville and Jacksonville. Ron said that this part of the state is seeing the early stages of what he hopes will be steady growth. Recently, Pipeline Contractors' crews also cleared a wooded 22-acre site for another multi-family complex in the Southside District that will feature 420 units within nine buildings. They also installed nearly 3,000 feet each of storm, water and sewer lines. The company's calendar normally shows 13 to 15 active projects at various stages, and, in most cases, each takes several months to complete. “Approximately 99 percent of our jobs are for private customers and last roughly 12 months because we're the first one there and the last one to leave. Our average project is somewhere between $1 million and $1.5 million,” reported Ron. Throughout the years, Pipeline Contractors' fleet has featured a variety of Komatsu equipment all purchased, leased or rented from Linder. 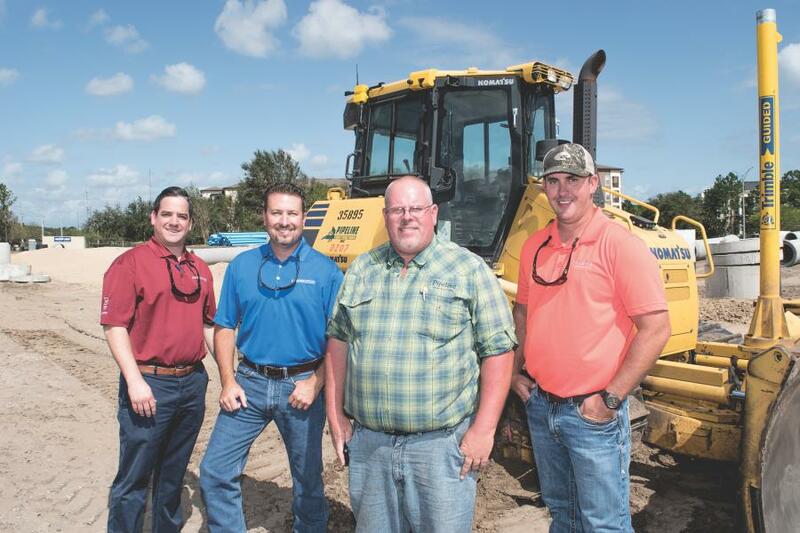 Last year, within the course of six months, Ron purchased six Komatsu machines, including three WA270-8 wheel loaders as well as PC210LC-11 and PC360LC-11 excavators. He also invested in a D39PXi-24 intelligent Machine Control dozer. Ron noted that the built-in GPS system on the D39PXi offers several advantages compared to aftermarket systems. “It shortens the time to set up and take down and reduces the liability — both the chance of theft or damage,” said Ron. 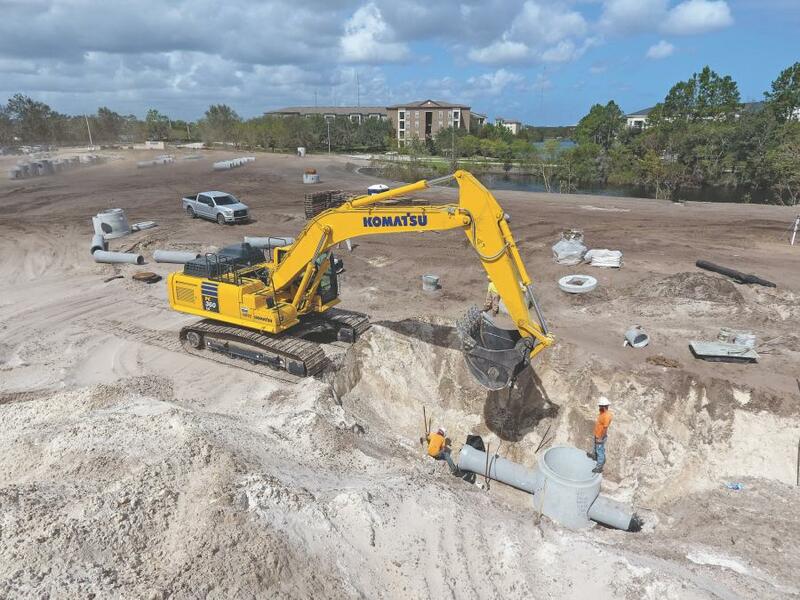 In addition to improved production, Pipeline Contractors appreciates the value and peace of mind that Komatsu CARE provides by covering scheduled services for the first 2,000 hours or three years on Tier IV machines. “I want Komatsu CARE on any equipment I buy because I don't have to worry about scheduling maintenance, and it reduces the work load on our mechanics,” Ron explained. Although Ron's stepfather is retired and no longer involved with the business, two other family members, in addition to Evan, play central roles. 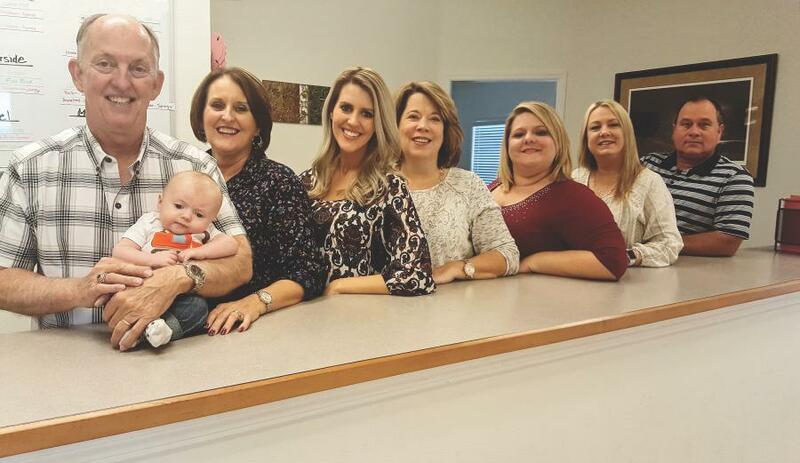 Ron's wife, Jo Ann, handles the accounting duties and daughter, Katy Outlaw, is responsible for payroll and marketing. Other key employees include Project Manager Marney Best, Human Resources Director Tonya Johnson, Estimator Linda Brown, Lead Surveyor Wayne Whipple, Construction Surveyor Terry Qualls, Lead Mechanic Daniel Rosier, Mechanic David Johnson and Field Superintendent Paul Huff. The employee roster is primed for continued growth as Pipeline Contractors recently reintroduced concrete services. A new concrete crew took shape late last fall and Ron predicts that he will hire an additional crew in the near future to keep pace with customers' needs. FLORIDA Komatsu Linder Industrial Machinery Co.